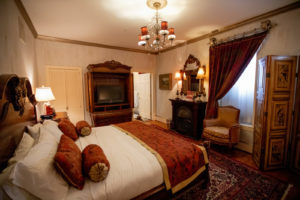 1840s Carrollton Inn is the perfect destination for an overnight escape in downtown Baltimore. Enjoy the following special offers for guests. All specials and discounts must be mentioned at time of booking and cannot be combined with other specials or discounts. 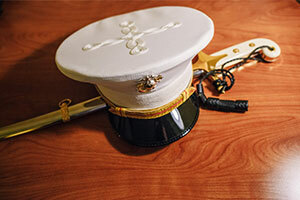 For online reservations, indicate in the special needs/preferences section, and when reserving by phone, mention desired discount to the innkeeper. All rates are subject to change. April Room of the Month! Located on the first floor, the Liberty Room is elegantly decorated with silver, burgundy and gold accents, and is fully handicap-accessible. Comfortable accommodations include a king-size bed with carved headboard, a fireplace, a double whirlpool tub and a separate shower with shower seat. April Midweek Rate: $150 (Sunday – Thursday) Savings of $75! Room of the Month rate available for specified room only, based on availability and must be mentioned at time of booking reservation. B&B specials may not be combined. It is our pleasure to welcome guests visiting nearby hospitals and universities including Johns Hopkins, Mercy, University of Maryland, and Maryland Institute College of Art. We are happy to make special arrangements so that your stay is comfortable and convenient. Value-added amenities for our hospital and university guests include: discounted rates, flexible check-in and check-out times (when available), transportation arrangements, complimentary upgrades (when available), modified breakfast menu for dietary restrictions, in-room breakfast service, early or to-go breakfast options. Please mention any special requests before your stay so we can plan for them (including transportation). As a thank you to you for your service and dedication to our country, please enjoy this year round discount. Save 15% on your stay! Applicable to overnight accommodations only (not valid for special events, packages or gift shop purchases). Holiday weekends excluded. Offer can not be combined with any other discount. Valid Military ID required at check-in. Thank you to the amazing guests who have become like family over the years! We love welcoming you back time and time again. To show our appreciation, repeat guests will receive a 10% discount – be sure to mention that you’ve stayed with us in the past and ask our front desk about our Loyalty Program. Upon check in, please ask about a complimentary upgrade! Must mention you are a returning guest at the time of booking the reservation. May not be combined with other discounts. Upgrades are based on availability and not guaranteed. Make the most of your Baltimore getaway! 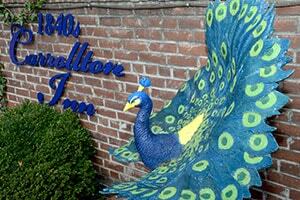 1840s Carrollton Inn has put together a variety of packages to add to your reservation to enhance your stay. Whether you love dining, city nightlife, or a relaxing retreat, 1840s has the perfect package for you! Packages are based on availability, reserve at least 48 hours prior to check-in. 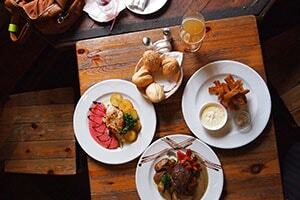 All packages are nonrefundable, nontransferable, and paid for upon making your reservation. Enjoy a romantic three-course dinner for two at The Elephant*, Da Mimmo, La Scala, La Tavola, or Point South Latin Kitchen, all highly-acclaimed local restaurants, including wine, coffee and dessert (options based on availability). While you are at dinner, our staff at 1840s Carrollton Inn will decorate your room or suite. 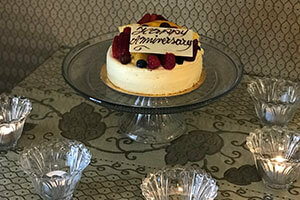 Return to rose petals scattered throughout the room, votive candles, a dozen roses in a vase, and a sweet treat to share! Cuddle up with your significant other with this cozy winter package! 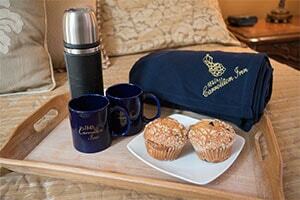 Upon arrival, warm up with hot apple cider and muffins in your room. Curl up next to the fireplace with your 1840s Carrollton Inn fleece blanket and two signature 1840s Carrollton Inn mugs. What better way to escape the cold? Celebrate your birthday, anniversary, or special occasion with a delicious cake from Patisserie Poupon, a local authentic French bakery. We will set your private dining table with a cake in one of three delicious flavors. Choose from: Royale (chocolate mousse, hazelnut feuilletine, and chocolate cake), Cassis (blackcurrant mousse and white chocolate mousse, genoise), Mixed Fruit (New York style cheesecake topped with fresh fruits). 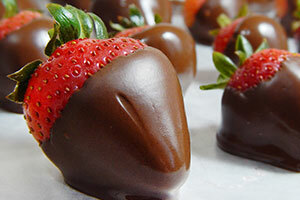 Treat your significant other with a dozen roses and a sweet treat to share waiting in your room upon arrival. 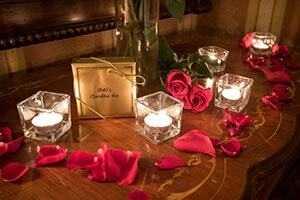 To make it even more romantic, fragrant rose petals will be spread throughout the room accented with votive candles. Petals can be arranged and candles lit prior to check-in or let us arrange the package while you are at dinner to return to a sweet surprise! Enjoy a 6 or 12 fresh, juicy strawberries dipped in gourmet semisweet chocolate, these are the perfect gourmet gift for any occasion. 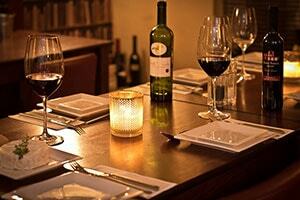 Ask for your chocolate course to be ready upon arrival or for your return from an evening out. Indulge in the best! Please allow at least one week prior to check-in to arrange spa services. Couples massages are based on the availability of two masseuses and only offered in suites.